There is an interesting article on Bloomberg (link below) in regards to the resale value of tickets for the World Cup in Brazil. The article states that the big game tickets are selling at a premium, while the tickets for the smaller games, especially the ones taking place in the country's north, are selling at huge discounts. One nosebleed section ticket for the final game in Rio, at the Maracana stadium, will set one back over $5k, which is over ten times the face value. 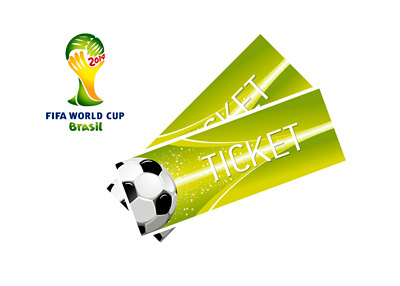 The most affordable ticket is for the game featuring Greece and Ivory Coast at the Castelao stadium in Fortaleza. It can be obtained at a 89% discount for as little as $15. Construction delays and floods are partly to blame for the low resale value of some tickets.